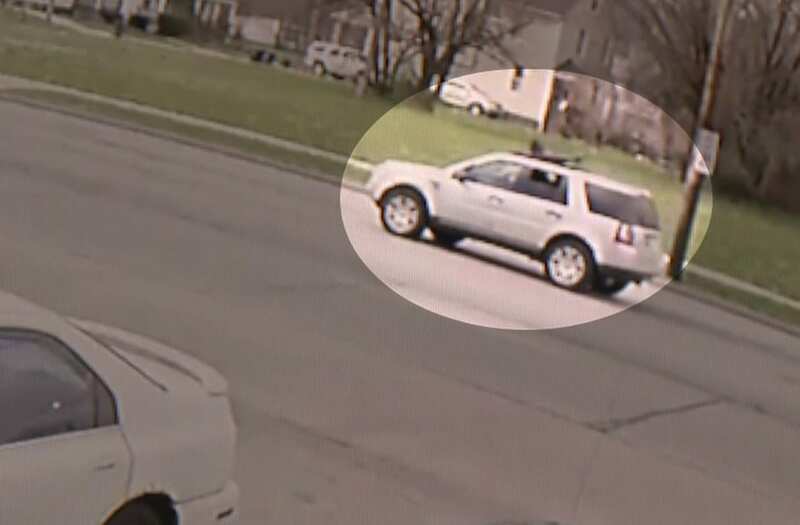 CLEVELAND (WJW) -- The FOX 8 I TEAM has obtained video of yet another gunman shooting wildly from a moving vehicle rolling down a busy street. The I TEAM has shown you, we're seeing more and more of this in Cleveland, often with gunmen firing from moving cars, wounding and even killing innocent people. The latest case happened Tuesday afternoon near East 88th and Superior. A gunman pops up out of a sunroof as a car is moving, and security video from a convenience store shows the man firing several shots. You can even see smoke coming from his gun. Incredibly, police only got one call about the incident. Scenes like these are not rare anymore. In fact, more and more common. Just days ago, about 20 blocks away Eugenia Robertson took a bullet to the leg via stray gunfire as she was driving. She got caught in the middle of a shootout involving gunfire from a moving car. Months ago, we showed you another shootout in the streets involving moving cars, and that sent bullets into a school. And just this week, three men were indicted, accused of shooting from a moving car, killing a teen, and killing a local professor with stray gunfire. In Eugenia's case, she was just one of two innocent victims. And, there have been even more recent cases similar to all of these. The latest incident with the man in the sunroof turned out to be especially dangerous because it happened with lots of traffic around; the shots went down a street lined with homes, and it happened just feet away from a medical building and a school. So far, City Hall has no easy answer for the problem. Neither does Eugenia. She said, "I was just caught up in the crossfire. And it really just shocked me. I didn't have a chance to turn around or do none of that. It happened so fast. It's too many. Too many now." In the latest case, a report shows Cleveland Police could not find the gunman by the time officers got there. No way of knowing, at this point, if anyone involved in this incident may be tied in any way to any of the others.